Jimmie Lee Jackson. (2015). The Biography.com website. 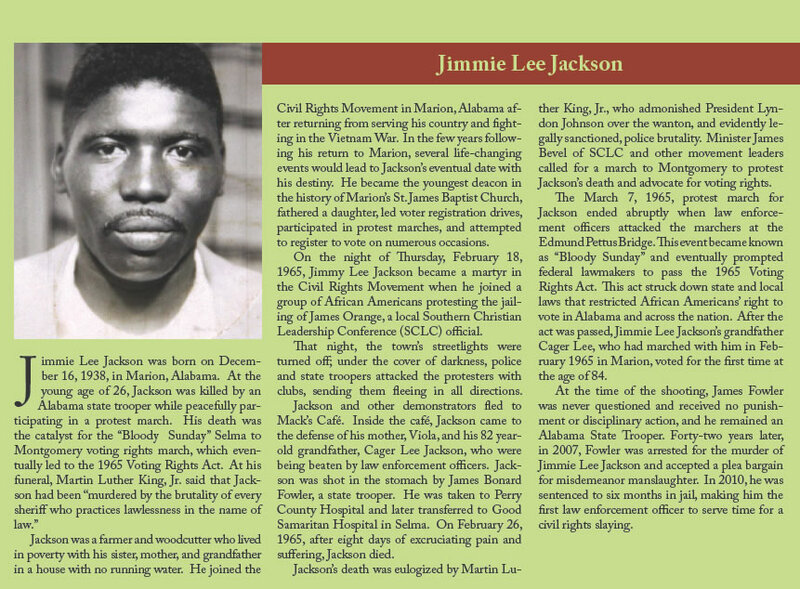 Retrieved 11:45, Apr 29, 2015, from http://www.biography.com/people/jimmie-lee-jackson-21402111.